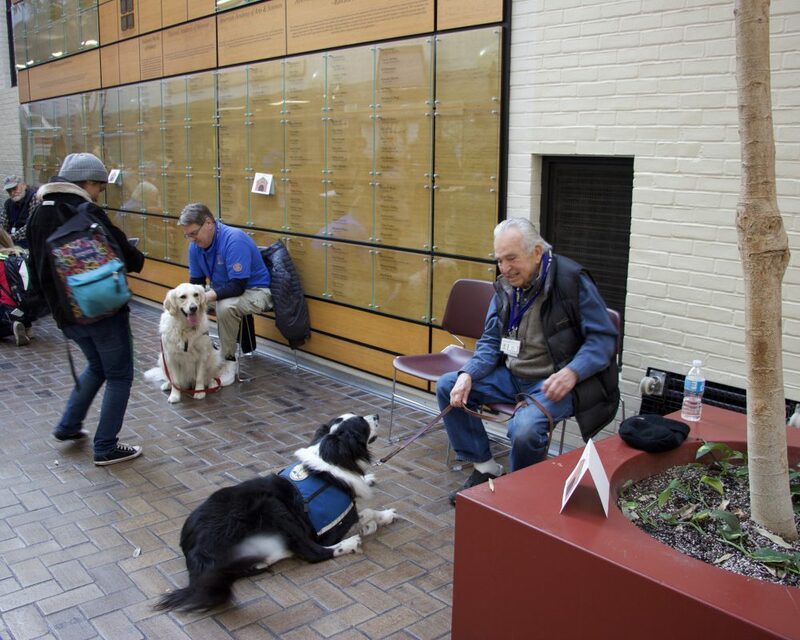 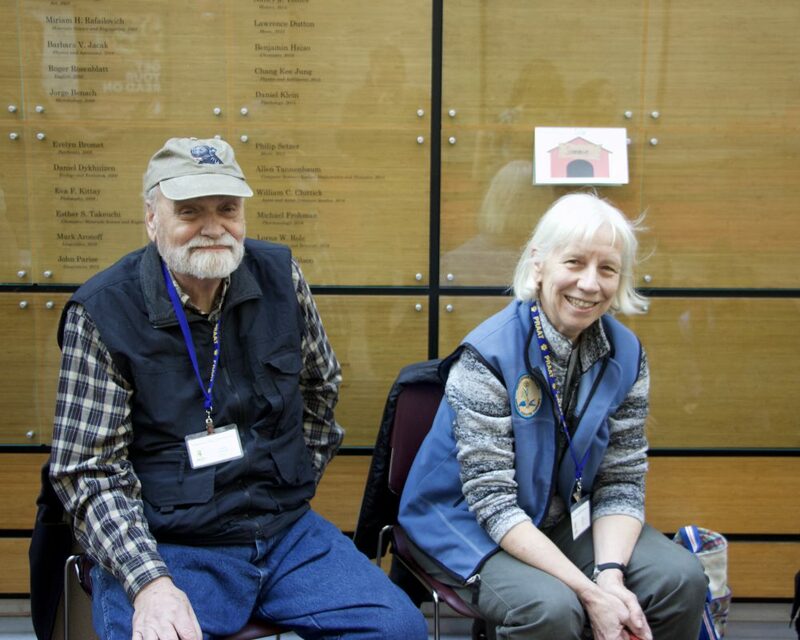 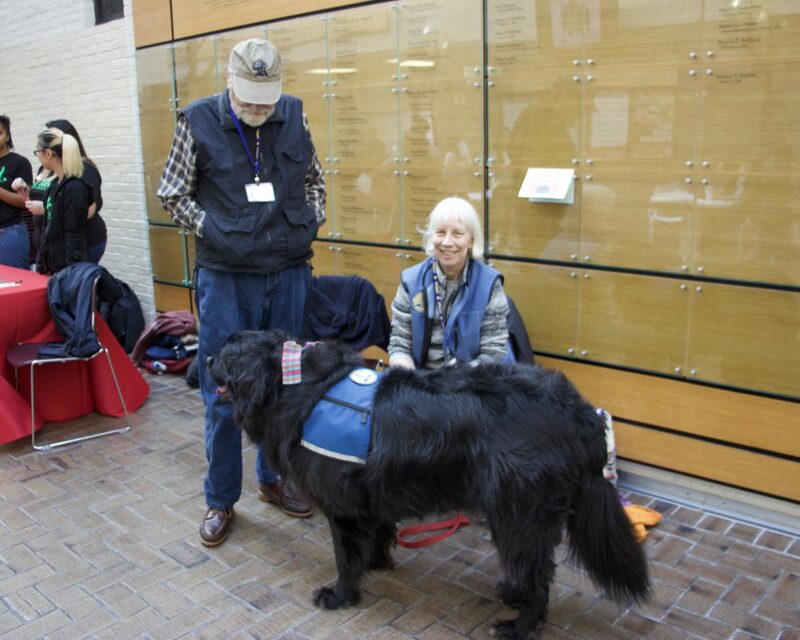 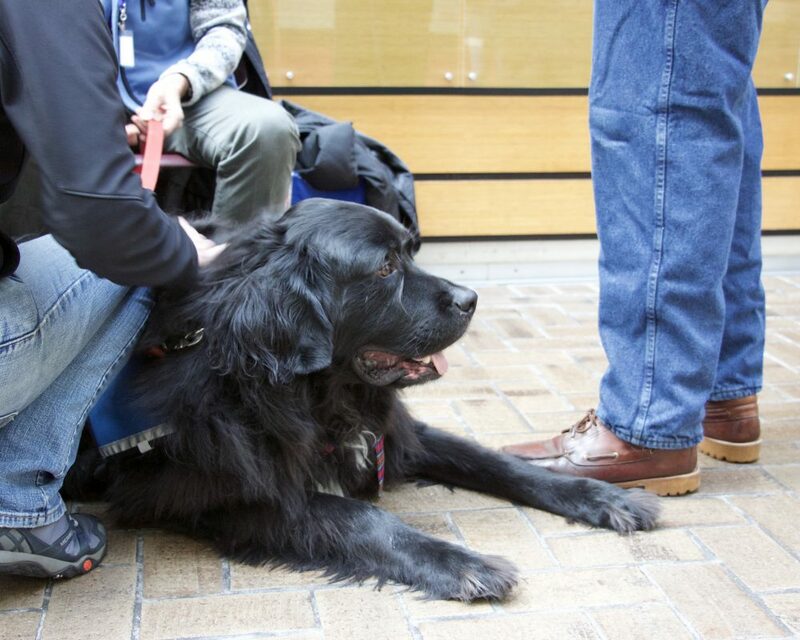 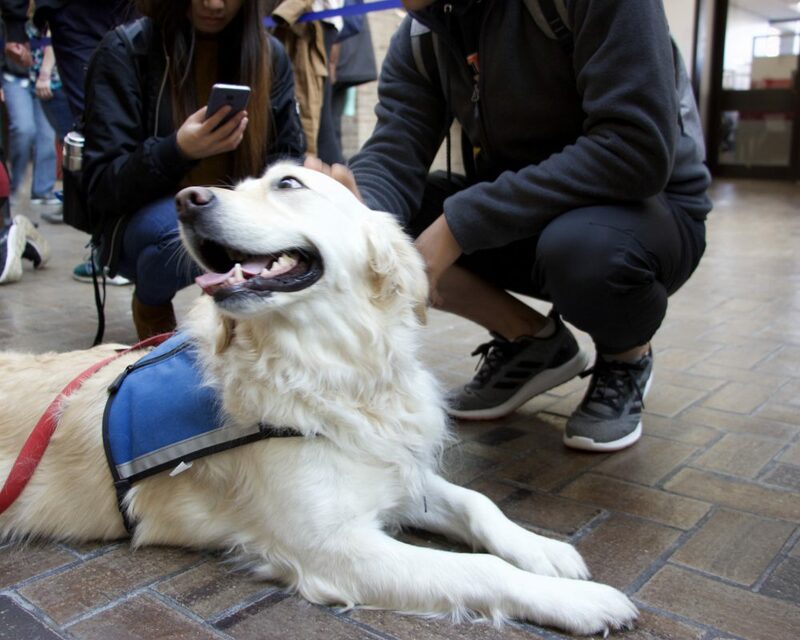 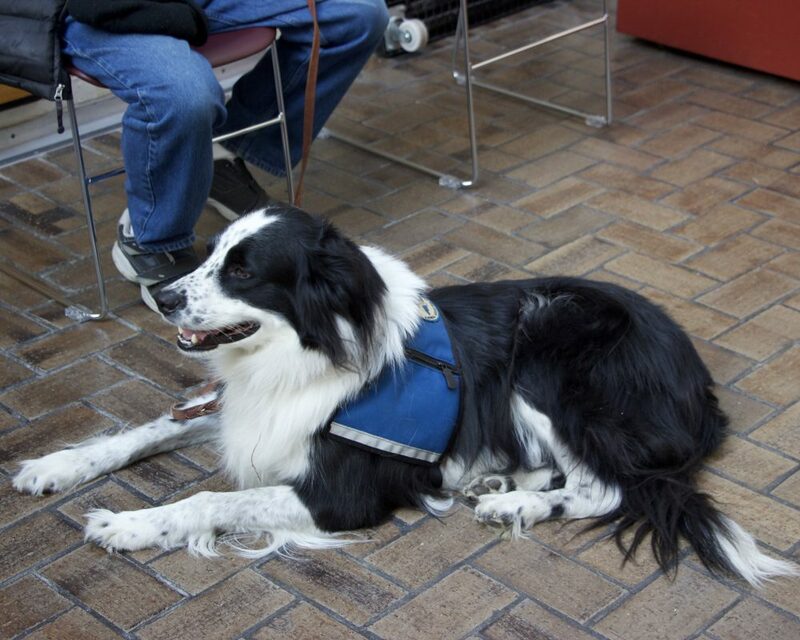 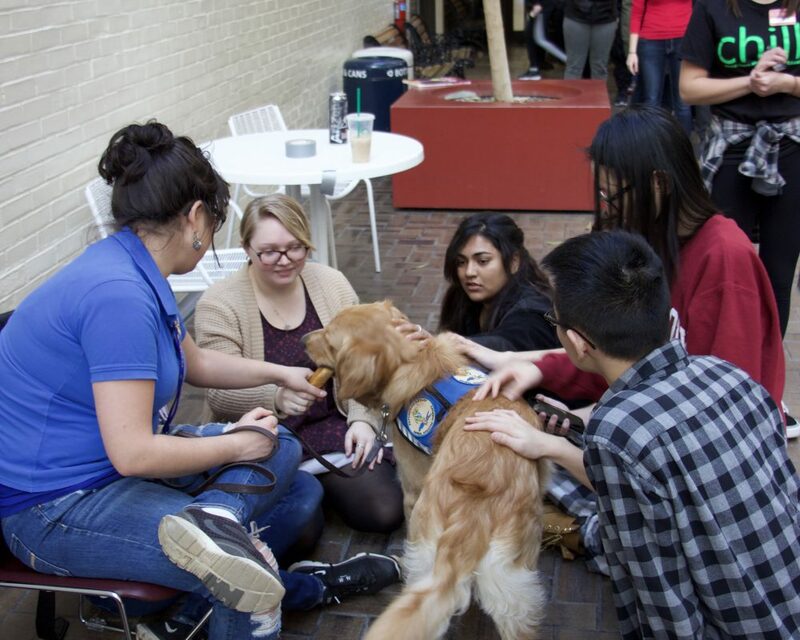 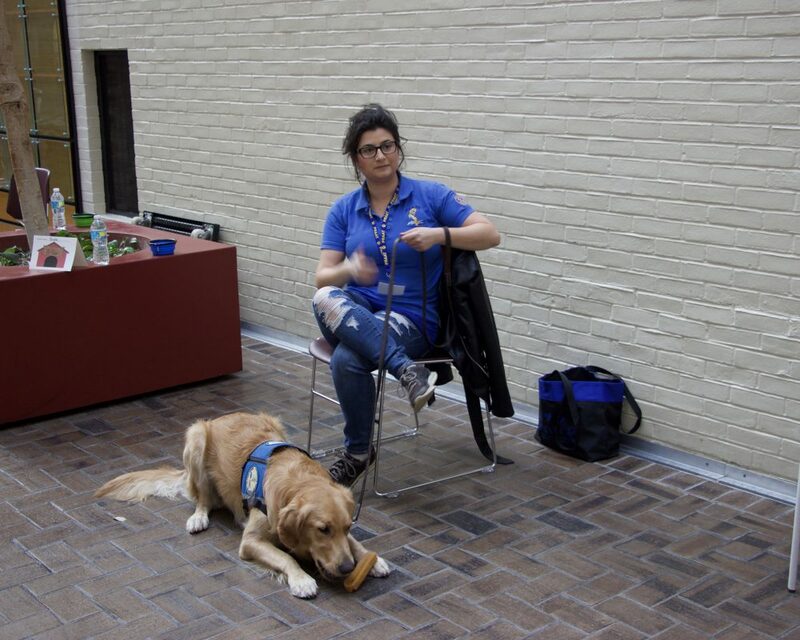 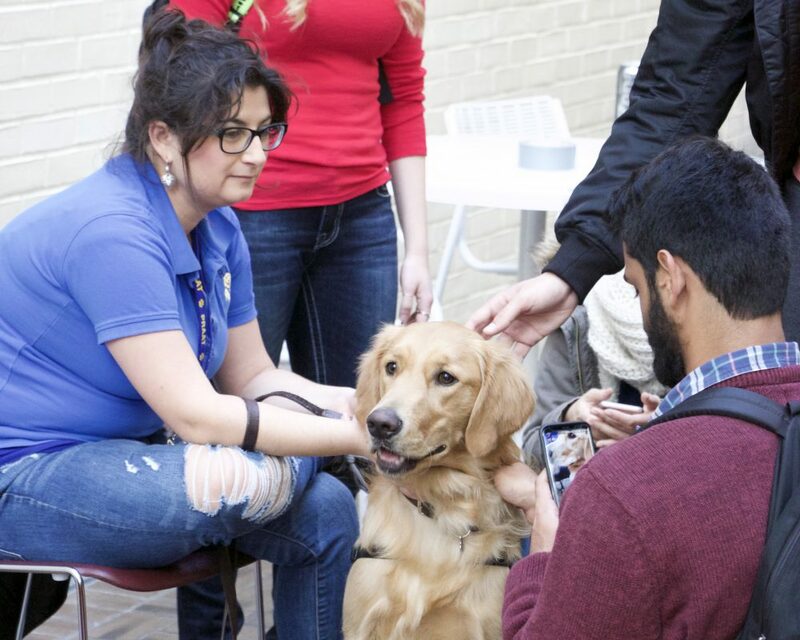 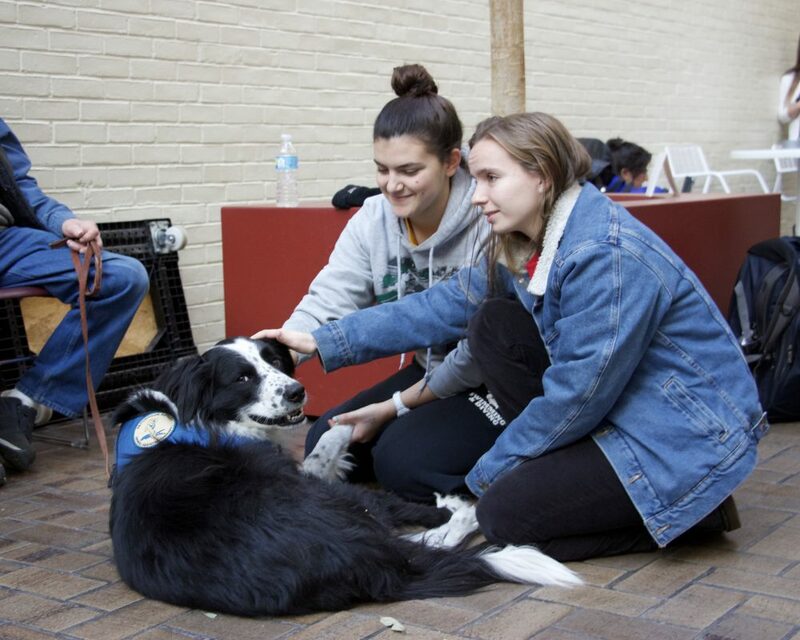 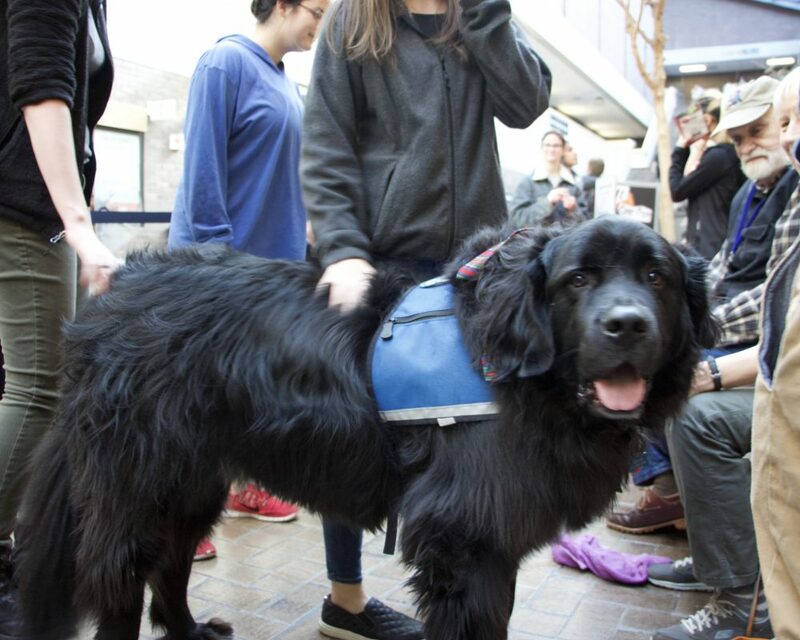 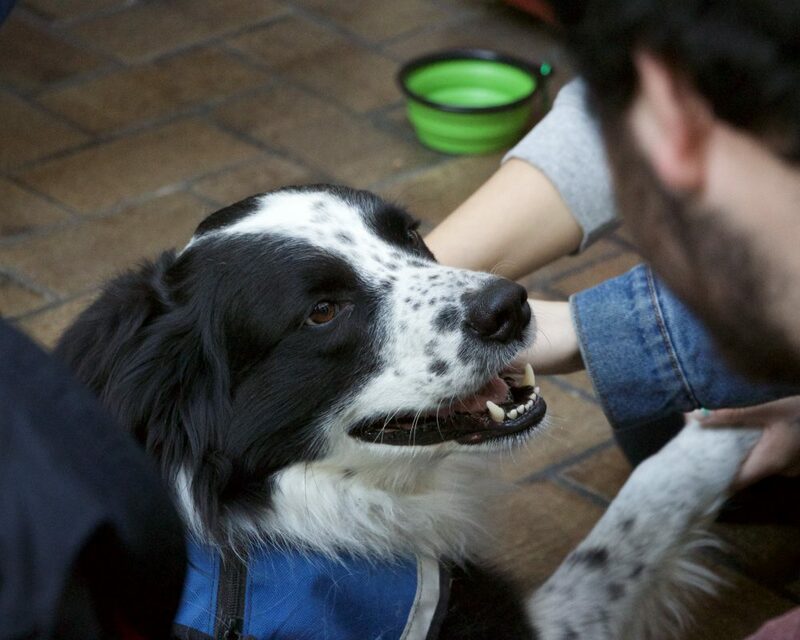 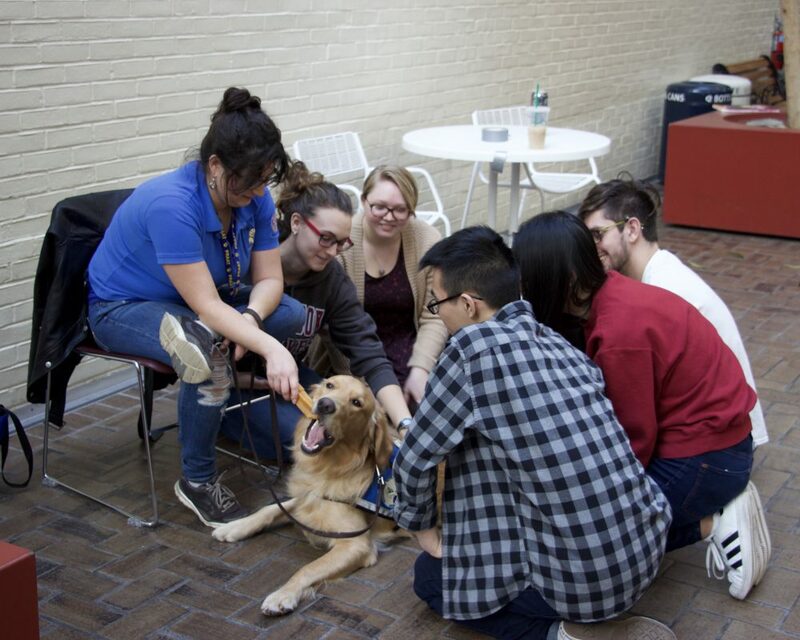 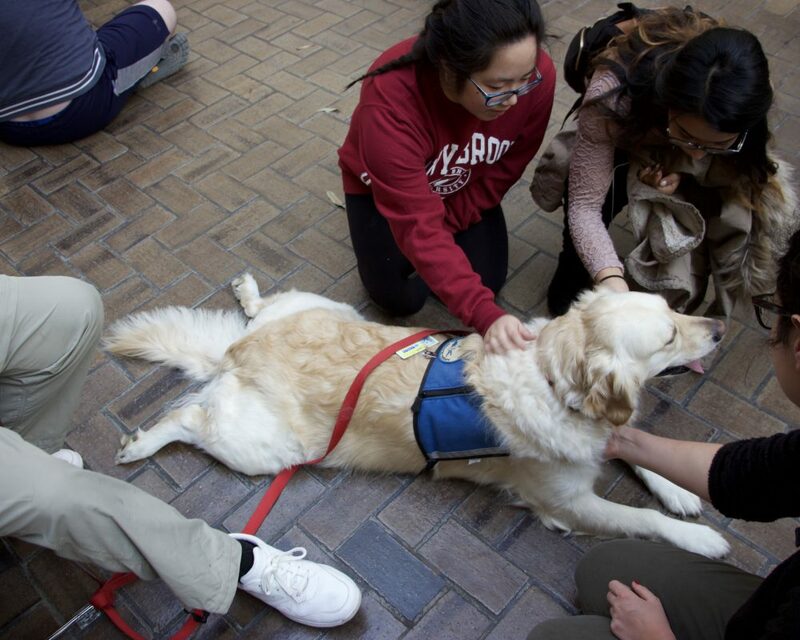 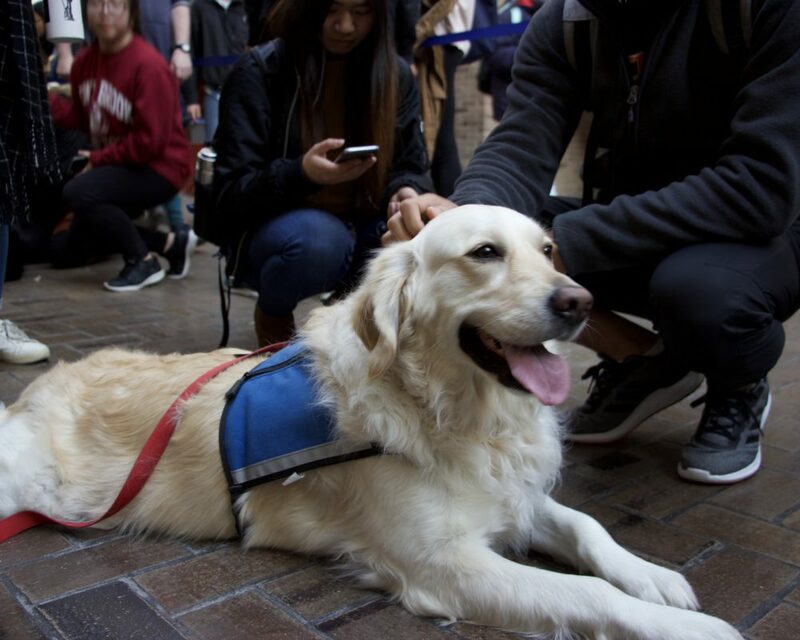 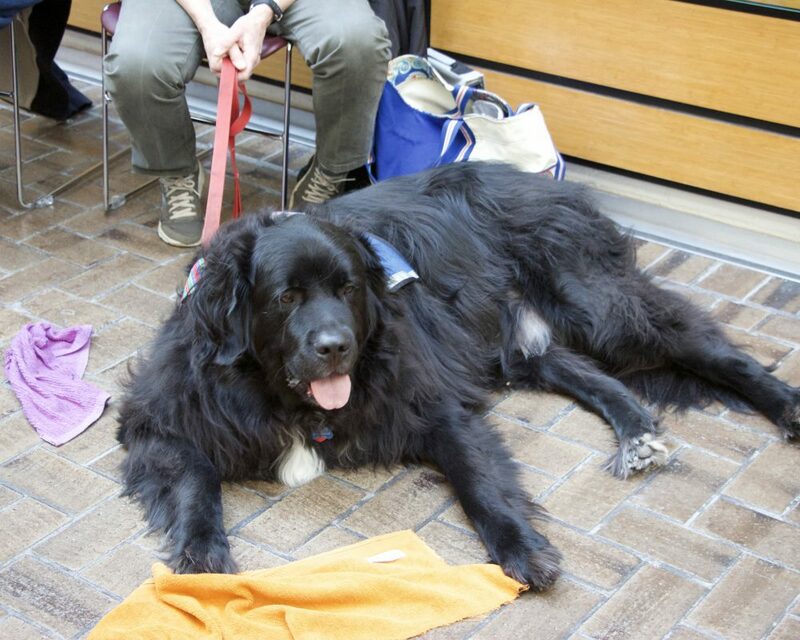 Each semester, the University Libraries partners with CAPS (Counseling & Psychological Services) to bring a parade of pups to the Melville Galleria for stress relief, research help, and conversation. 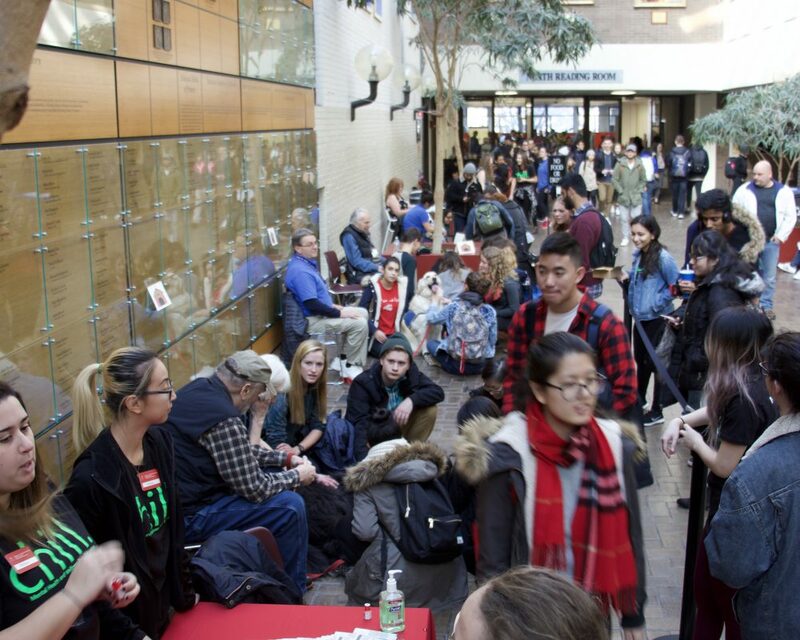 The events generally take place around high stress periods in the semester (midterms and finals) and regularly attract 200-300 students. 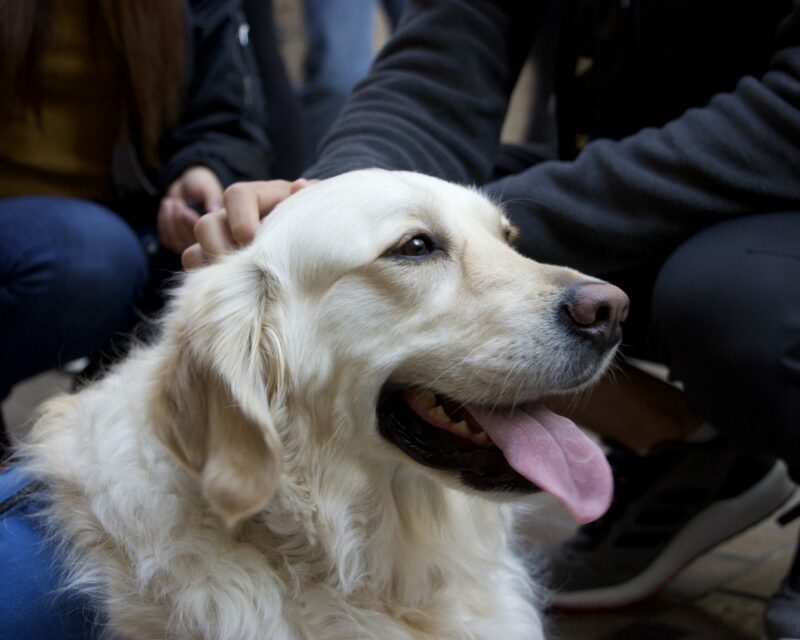 Pet therapy has been found to reduce anxiety and stress, elevate mood, and help people feel more optimistic. 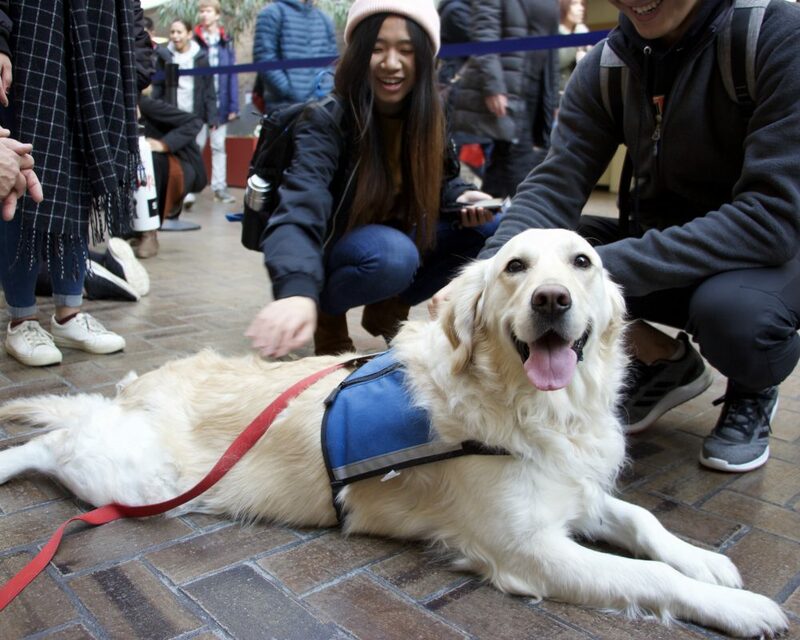 It’s no wonder the events are so popular! 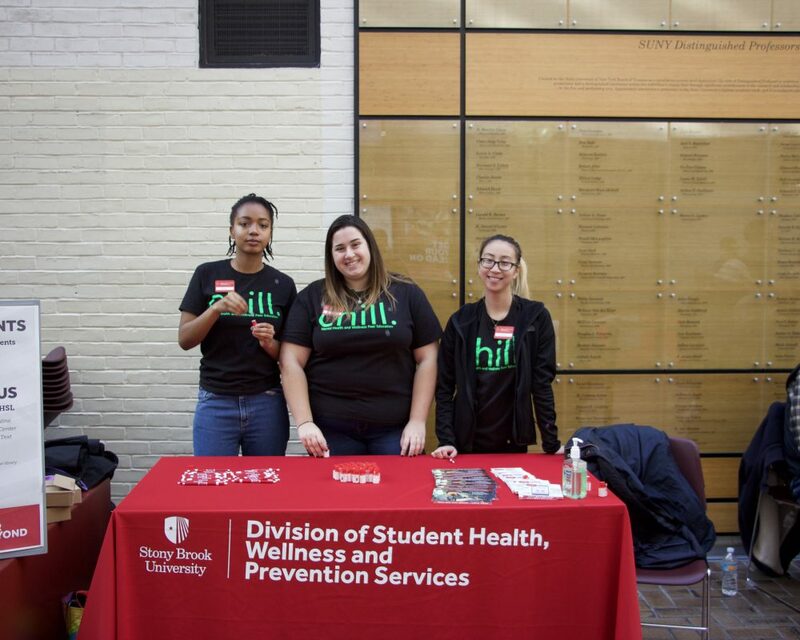 Photos by SBU Libraries are released under Creative Commons Attribution Non-commercial International License 4.0.